On March 12, 2019, the European Commission removed Hong Kong from the European Union’s watchlist on non-cooperative tax jurisdictions. The decision was welcomed by the Hong Kong Special Administrative Government. 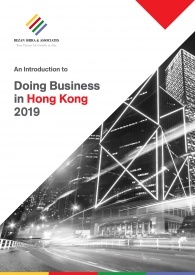 In 2017-18, Hong Kong was placed on the watchlist and was required to meet relevant EU criteria with a 2018 deadline – to avoid getting blacklisted for non-compliance. Base erosion profit shifting (BEPS): Commitment to implementing the four minimum standards under the OECD BEPS project. Hong Kong’s removal from the list comes in light of a series of changes it has made to improve its tax environment and introduce greater financial transparency in accordance with these criteria. This includes, amending its preferential tax regime, signing the Multilateral Convention on Mutual Administrative Assistance in Tax Matters, and committing to the implementation of the BEPS minimum standards. What is the watchlist on non-cooperative jurisdictions? The list of non-cooperative jurisdictions drawn out by the EU was aimed at an international crack down on tax avoidance and evasion by promoting a fairer tax environment within the EU, and more generally, across the world. The blacklist currently includes 15 jurisdictions. These are countries that have ‘failed to meet good governance tax standards’ and ‘failed to engage in meaningful dialogue on the basis of the EU’s criteria’. A further 34 jurisdictions now feature on the EU’s watchlist – while they have not yet met the requisite standards, they have sufficiently demonstrated their commitment to addressing their deficiencies.